More and more people are starting to run Instagram ad campaigns. It’s no longer just huge companies utilizing the new paid platform but rather entrepreneurs in every niche. With almost one third of the US population using the social network and the ability to run an ad for as little as $3 a day, its no mystery why. That’s a huge audience to have access to at a very low entry price. The problem is, not a lot of people are seeing the results for which they had expected or hoped. Is this because Instagram is a bad platform for paid advertising or because we haven’t figured out how to advertise on it yet? To date I have managed over five figures in Instagram ad spend for myself and others. This means, I have had the opportunity to come into more than one business, see the horrible results they were getting, make a few adjustments, and bring their CPC well below their other PPC campaigns. If you’ve been considering marketing on Instagram, or you’ve just started, and haven’t really found success, this post is especially for you. 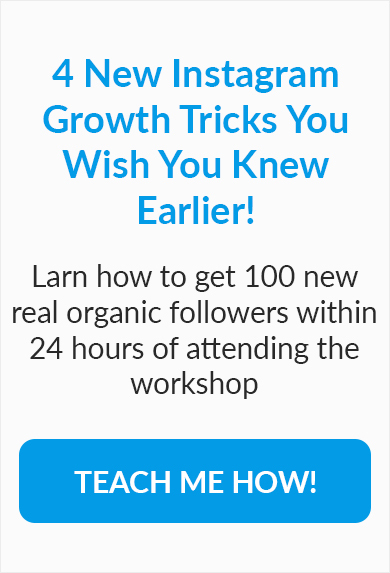 I am going to show you all the key components of creating an Instagram ads campaign that converts. After implementing these tactics, your ads will get more clicks, and that traffic will lead to conversions. Instagram may be owned by Facebook, and you may build and create your campaigns, with the same tools you use to create your Facebook campaigns but they are not the same platform. Just because something works on Facebook, does not mean it will work on Instagram. Running a successful Instagram ads campaign involves more than simply selecting to also display your campaign on Instagram while publishing your Facebook ad sets. Your campaign needs to be crafted, specifically, for Instagram. The more you tailor it to the network, the more your campaign will resonate with who it is served. For this point, there are three main aspects you need to focus on. Aspect #1 – The audience: First up is the audience for your Instagram ad set. Just because an audience is performing well for your Facebook ad sets, it does not mean it will perform well for your Instagram ad sets. In fact, from my experience, it almost never does. This does seem a bit counter intuitive; however, keep in mind; Instagram is its own platform. Split testing will be a necessity as you begin to flush out Instagram audiences. Try loosening your age parameter for certain audiences. Target more specific interests or try wider interest groups. It’s hard to say, at this point, what the sweet spot is for your audience size, and every niche is different. It will be up to you to really dive into your audiences and see what works. I have found that running as little as $7 through an audience will give you a good impression of how it will perform. Aspect #2 – The imagery: The second part of creating a platform specific ad is the imagery. While you can generally use the same images as your Facebook ads, is that the best thing to do? Instagram is known for it’s aesthetic. Each niche has its own feel and flavor. Spend some time on the network, find accounts in your niche and get a feel for what they post. There are accounts for every niche with which a product or service could be associated. After you have a feel for the network you need to split test multiple images. Create at least three different images that you feel are high quality and fit the aesthetic of Instagram to test. I have seen bad images more than triple the cost-per-click of ads in an Instagram ad sets. Aspect #3 – The copy: Finally, you need to write copy that is specific to the Instagram platform. There are a few things that need to be remembered when running an Instagram campaign when it comes to copy. That link you have in the copy of your Facebook ad won’t do anything on your Instagram ad. Instagram only allows hyperlinks in a user’s bio. Any link you have in your ad copy will not be clickable inside the app. The other important fact is that hashtags can be used in your ad copy. I still do not have enough conclusive data to say if they do or do not extend the reach of your ad. I hope to have that soon. If it makes sense with your ad, you can even encourage the ad audience to tag a friend. This will, naturally, extend the reach of the ad and help you get more organic traffic. For all three of these aspects, you need to split test as many variations as you can. The goal is to collect data on what the Instagram platform responds. This will help you flush out your hypothesis and allow for easy creation of optimized ad sets. The easiest way I have found to split test Instagram ads quickly is using Adspresso. Once you’ve corrected your basic platform issues, it’s time to move on to your funnel. Marketing on Instagram is different than marketing on a lot of other platforms. Instagram does not show ads on a web platform. Rather all of its sponsored posts are displayed inside the mobile app. That means the traffic you are buying is mobile traffic. Is your funnel really a good funnel for mobile traffic conversions? We create distinct audiences for mobile ads. Is it time we start creating distinct funnels for them, too? Mobile landing pages face the tough challenge of supplying enough information to make a visitor convert, with a fraction of the space compared to desktops. Mobile traffic suffers from much more friction than regular desktop traffic. Perceived friction is the mental block that occurs in the mind of a visitor when they land on a mobile landing page with a sea of text, a form with too many fields, or an offer that is not compelling. Real friction occurs when people struggle to fill in too many fields with their thumbs, or they can’t click the call to action button. Or maybe your page is not responsive, and they have to scroll or pinch and zoom to get to CTA. Here are a few ways to reduce friction. Use a responsive landing page: This feels like it should be a given, but unfortunately, that’s not the case. With mobile traffic, it’s important to remember that every screen is different. There are hundreds of different phones and tablets out there, all with different screen sizes and dimensions. The landing page to which you are sending your Instagram traffic needs to respond to every size. Responsive design means adapting to the device accessing the web page and displaying the information in the way best suited to that device. Part of optimizing your responsive design may mean cutting back on some of the landing page elements. That could consist of images or text. It’s important to make it easy to skim your content from a mobile device. Focus on using bullet points, short paragraphs, and small amounts of copy. Nathan Chan and the team at foundr Magazine do a great job at this with their Instagram landing pages that can usually be found Here. They keep their pages responsive, the copy and content easy to skim, and because of it, they see high conversion rates on the page. Use One-Step Opt-ins: Build your form into your landing page to see higher mobile conversions. Every web page you visit seems to be using a two-step opt-in process. Some tests have shown that two-step opt-in provides a higher conversion rate, compared to a one-step opt-in landing page. When it comes to mobile traffic, I have found the opposite! 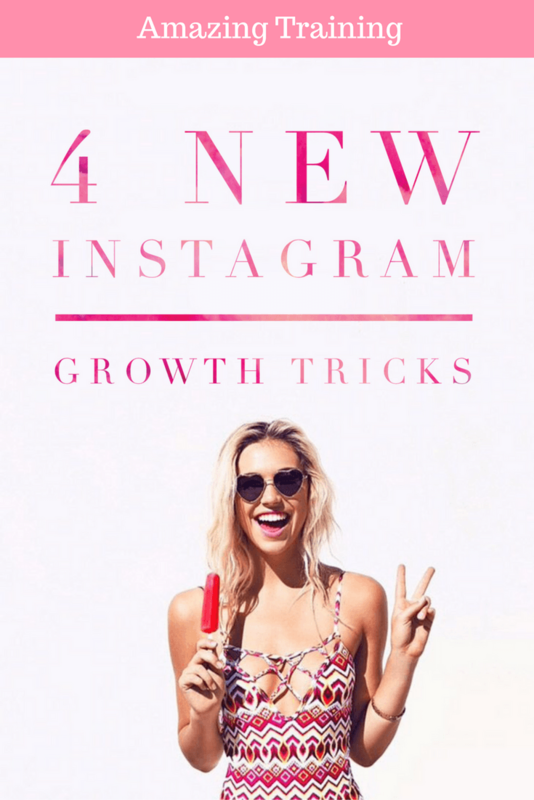 One example is the Instagram campaign I ran to promote a webinar for Bryan Harris at Videofruit. Initially was sending traffic to the landing page below requiring a two-step opt-in. The traffic to this landing page was converting at 34%. We decided to split test, sending the traffic directly to the opt-in link and saw a 38% increase in the conversion rate. Opt-in popups can be difficult on some screens, especially with mobile users, when they lose a portion of their viewing area for keyboard use when filling in forms. One-step opt-ins reduce friction and increase conversion rates on mobile landing pages. Reduce user input: The less a user has to enter with his thumbs, the higher your mobile conversion rates. Getting more information from your leads certainly makes it easier to segment them; however, it could be killing your mobile conversion rate. I click on almost every ad I see, just to examine the landing page and funnel other marketers are using. Huge input forms are one of the most common mistakes I have seen with Instagram ads. I cannot tell you how many times I have been scared off a landing page on my phone, simply because of the number of opt-in fields. A good example of this is the landing page Unbounce and Hubspot are serving its Instagram ads for their upcoming Digital Advertising days. Pull this landing page up on your mobile device, and you’ll find a confusing heading, followed by a never ending opt-in form, concluding with a sea of text. The landing page created both perceived and physical friction for the mobile visitor. Instagram is an ideal marketing opportunity for businesses interested in paid acquisition. You get all of the targeting capabilities that Facebook provides, and the competition is still very low. I’ve shown you everything you need to know in order to be successful on the platform, including how to optimize your funnel. Now, you need to take action. If you’ve been considering Instagram marketing, pull the trigger. Create a plan, based on this post, and create your first campaign as soon as possible. If you have any questions about how to determine whether Instagram is right for your business or how to make the most of it, let me know in the comments below.